Hridaya Retreat Testimonials--- Join us! «En una ocasión durante el descanso, mientras estaba tumbada con las manos sobre el corazón, sentí que mi conciencia estaba fuertemente centrada ahí y me emocioné, derramándo algunas lágrimas, al darme cuenta de la forma en que los humanos se expresan amor uno a otros. Por vez primera, comencé a experimentar el gozo de la meditación y me sentí muy inspirada para seguir cultivándola en mi vida. He sentido cómo mi meditación ha ido profundizándose y he descubierto una nueva perspetiva de la realidad. «Me ha llevado a un contacto más íntimo con la puerta sagrada del corazón y ha abierto nuevos universos dentro de mí. Me ha ayudado mucho a desidentificarme con incómodas creencias y pensamientos limitantes. Me ha proporcionado atisbos siempre crecientes del Ahora. Me ha abierto al amor y ha hecho pedazos mi identidad. Qué alivio. 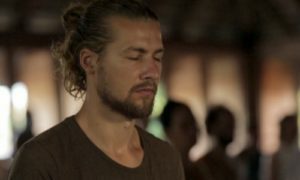 «Pregunta: ¿Las técnicas de meditación presentadas en el curso le ayudaron en sus meditaciones? Respuesta: Si, ¡totalmente! Ahora me siento como una pequeña cientifica a la que se le ha proporcionado un laboratorio profesional lleno de nuevas herramientas para ayudarme con cualquier tipo de problema que pueda surgir en la superficie. «Entiendo lo que significa que “la meditación se vuelve carente de esfuerzo”. ¡Todo resulta tan fácil! ¿Por qué es tan difícil repetir estas experiencias? «Este retiro está bien fundamentado en sus fuentes y lo imparte un practicante con gran dedicación. ¡Me encanta! «Siento que este retiro me ha proporcionado técnicas de meditación claras y prácticas que me resultará fácil recordar y aplicar a mi propia práctica y que pueden aportarme mayor profundidad que las técnicas que había aprendido antes. Mi recuerdo más vívido: el sentimiento de profunda gratitud después de la meditación que me regaló una nueva mirada para observar el mundo y una maravillosa quietud que ha permanecido conmigo. Después, al caminar descalza en un sendero rocoso, me sentí tan ligera, sentía como si una suavidad sedosa me acariciara los pies con delicadeza, casi como algo fuera de este mundo. «¡Las técnicas de meditación me han ayudado mucho, al crear esa hermosa conciencia de la omnipresente quietud! De forma que, incluso cuando la mente estaba hablando durante la meditación, era capaz de ser consciente del trasfondo de quietud. «El recuerdo más vívido: En todo momento en que sentí una gran resonancia en mi corazón fue con algo que Claudiu dijo o con los poemas. Y especialmente los días dos y tres, cuando sentí mi corazón radiante como una estrella brillante después de la meditación, una profunda y desbordante alegría y ligereza, junto con un bienester físico absoluto, centelleante. The meditations brought me to a deeness , intensity , variety of experiences about meditation i never had before. I have never been so happy, that was great. I have never been so sad, that was great. I have never been so happy and so sad at the same time that was the best. Adam Ossin, Dutch, Israeli. This is my third Hridaya retreat, and I am so happy with it! I could really go deep and enjoy most of my meditations! I am especially happy to realize the truth and importance of things that I thought I already understood, but now could clearly feel the difference between mental understanding and actual experience. I’m happy to be happy that I am not referring to big things, but to the little things that I did not pay much attention to previously. I learned to accept and everything opened up. Katrin, Germany. Beautiful, I loved Sahaja’s quiet yet playful presence and modeling of the Hridaya psychology. I was encouraged to go deeper and inspired to make the focus on the heart my constant practice. I came to love mediation more than I did before. I feel very grateful for the experiences of the stillness and the Divine Grace that supported all of us. Ten days passed so quickly. I could go for another ten days! Akari Tamura, Japan. I started to understand where love is coming from and how I can experience it without an object. All the methods we learned helped me a lot to deepen my meditation and understand what stillness means. I am very inspired and grateful for this retreat. Mirjam Miller, Germany. It has been a real journey. Blissful at times and difficult and exhausting at other times. I have reached the deepest and most expansive states of meditation I have ever experienced, interspersed with some moments of despair. I cried a lot. I never knew that such deep healing could take place on a meditation cushion. I feel certain it will guide my meditation and spiritual path from this point on in a deep and powerfully authentic way. making it more grounded, focused and coherent. I guess it is in the nature of seeking to not really fully know what you are looking for until you find it. This retreat had the feeling of finding something that I had been longing for.Katie Wellings, England. These retreats are simply the most profound, deeply touching and true experiences in my life. Consistently I feel the teachings and practice transforming my life and perspective. Holly Wodetzki, Australia. A beautiful time to reflect and drop into stillness. After many retreats, it felt like there was a stability and groundedness to the teachings and the heart openings. Something had solidified, no dramatizing, just lots of self acceptance and love. Lorraine Taylor, England. I did many retreats and almost came to think I could not meditate, since I could not go very deep. This retreat changed my perception of my own potential on the spiritual path. I had a tiny glimpse of unity and now my belief is closer to faith than it has ever been. Givisha, TR. The first 3-5 days were hell, then something clicked and I started to go really deep for the next few days. On the morning of the ninth day I experienced Samadhi for a few minutes. Ecstatic to say the least. Mosis, Australia. At times very challenging, but I had times of breakthrough, peace, gratitude and insight. Overall I am really glad I did it. I learned a lot about my ego and that by inviting my inner observer is more effective than trying to fight my ego! John Kersten, New Zealand. Amazing experience, I find my heart opened, full of love, I feel blessed to experience this beautiful retreat. Marta White. The material given here is simply mind blowing and heart revealing. A pure consciousness experience, full of love, thank you. Eric Le Maou, France. It’s my fifth ten day silent retreat [some vipassna] and for the first time I was able to appreciate most of my meditations and accept them as they were. I was not putting myself under pressure to reach somewhere specific in ten days. I feel like I have a much more calm and down to earth understanding about what meditation is. I really enjoy it! Katrin, Germany. A travel from my mind to my heart, there is love, then my heart begins to love even the mind, there is love then in a flash, a breakdown to a breakthrough….love is! Sebastian Recotillon, France. Hridaya is a beautiful journey from the known to the unknown. In order that something of the ineffable be revealed. It is a very serious method. Thanks to Sahaja for his infinite patience and passion. Terenzio Amelino, Italy. I am extremely happy with what I have learned these past ten days, it has been a far more satisfying and enriching experience than I could have imagined. I feel it has given me the skills and the vision to sustain a lifelong practice. Yasmine, New Zealand. Yesterday during the afternoon meditation a poem came to me. Oh yes, I loved the poetry a lot, I was often moved to tears. I’d like to share this with you: Cycades chanting How I love them They remind me of the stillness. Oh, this tremendous joy of stillness I’ve just discovered… Grace herself stepped into my door 10 days ago. I am most thankful for the kindness of Claud who made me feel it was okay to have my limitations. I will recommend this retreat to many friends, it was a gift for my 70th birthday- best gift ever!!! I loved everything about the retreat and know that it will continue to serve my growth. Thank you so much!! For the second time in my retreat experience a talk on the Witness Consciousness led me to a deep meditation. I felt this retreat was incredible inspiring and uplifting. The spirit of the teacher was strong and encouraging. The participants were beautiful to feel in the dedication. Thank you so much for this beautiful retreat. So many moments of joy of the stillness of the Heart. There was a moment when I asked “Who am I?” and all I could do was laugh, for who was asking who, it certainly wasn’t me! Thank you so much for a really enlightening and beautiful experience. To Sahajananda for his sweet presence and lucid teaching, and to the team for their hard work and loving dedication. My most vivid recollection of the Retreat is that of waking up in the middle of the night with an inexplicable energy and unstoppable hum in my chest. Also, the sunrise and its undeniable beauty and peace at the start of each days meditation and the beautiful walks home in the moonlight, so aware of every sensation and the beauty of each subtle illumination, after a day of meditation and spiritual conquest. This was the first time someone actually broke each step down enough for me to understand and actually experience a deep state of meditation first hand. I found myself spontaneously entering a “completely new state of being”. Time was suspended, surrounded by a bubble of bliss and stillness, I wrote in my journal that evening “a hyperawareness and hypersensitivity”. The techniques have helped me to stay longer in meditation more easily. An hour was my usual time previously, with forays into one and a half hours once in a while. Now two hour meditations seem quite normal. The retreat has made me want to live life more with an attitude of openness… I just want to live with an open heart and love others unconditionally. I’ve renewed my passion for meditation thanks to the retreat. I now want to stay here longer to do a couple more this year and then take the TTC next year! I feel far less attached to my mind! I have experienced a sense of peace and bliss that I have never known. I think these teachings can be applied in my work as a psychiatrist, which I intend to do, in the hopes that I can help others diminish the suffering that attachments to the mind/ego causes them. So much gratitude to sit with all the beauty surrounding – with all the insightful teachings, with the wonderful teacher, with the tremor of the heart. A life changing and enhancing experience. Thank you to all that make it happen. Bless! Luca, USA Q:Did the meditation techniques presented help you in your meditations? “I feel like a happy little scientist who just got provided with a professional laboratory full of new tools to help with whatever kind of problem may come on the surface. … [An experience I recall vividly is:] There was a light warm wind, the smell of the flowers and I looked at the leaves of grass and I felt really truly at home. I felt like the child in my parents’ garden felt. It was like I had that child’s nose, eyes, skin, and heart. It was so different from before and the heart made all the difference. Best ever! It just keeps getting better and better. Each retreat I end up focusing on a different component and there’s so much to play with that each time. I find exactly what I need. I most vividly recall states of stillness and never wanting to move. I enjoyed all the lectures very much. Usually I felt the themes were brought up just at the right time, just as they came up in my meditation… I was most inspired by the lectures on surrender, bhakti and death. I can say that my faith in God is stronger, that I feel like I understand myself and the world better than before. And that I am happy to be alive in this body full of Love. In this retreat, my average meditation was at much higher level. I hope this is a permanent plateau, because then it would be a sure sign of progress. Being my third Hridaya Retreat, I still find new teachings in each of the lectures and new experiences in each of the meditations. The great inspiration comes from reliving the experience of discovering myself. There aren’t words to express the impact of this retreat and the practice of the Revelation of the Spiritual Heart on my life. I feel so complete, like I’ve come home. A feeling of stillness, centeredness and love pervade from my being. I’m still a work in progress, but I know I am going in the right direction!! Claudiu gives a breath-taking synthesis of Spirituality which gives a lot of clarity and motivation. All lectures were clear and inspiring — I enjoyed every moment. The Retreat put the finger precisely on the weak points of dealing with the mind and meditation and gave clear ways to deal with. The long meditations helped me to realize my limitations are imaginary. The lectures were amazing — I just counted and I have 75 pages of notes and drawings! Wonderful! The Retreat has confirmed in me the great love that is delving deep within our own being. It has made me want to start a meditation group back home, and pass on the wisdom that Claudiu has given us. I feel like I am taking the first steps on the path that was always meant for me. ‘One time in the break, while lying down with my hands on my heart, I felt my consciousness strongly centered there, and was moved to tears with the realization of how humans express love to each other. For the first time I started to feel the joy of meditation and was so inspired to do more in my life. I felt my meditations deepen and I discovered a new outlook on reality. Amazing retreat! Intense, tough, but very powerful. Well done Claudiu! What experience do you recall most vividly? The way Claudiu speaks from the heart. That says it all. “Like this”. Beautiful. Walking Meditations also. This retreat forever inspires the depest call of my heart to be answered and cultivated in truth. Truth, truth, truth – all what we experience here resonates with the ancient scriptures, the unified message of the mystics. I am grateful for the inspiration and in no doubt transformation. There are a lot of outstanding moments that I will treasure, but I think the realization that these teachings were absorbed into my being, forever changing me, was very powerful. My entire perspective and attitude has changed. The teachings are no longer just nice ideas, but they have become my reality – a work in progress, at the very least. I’ve been inspired in every way possible. Every cell in my body and all of my other bodies are forever changed. Every real transformation is irreversible! I want to live what I’ve learned. What I feel in my heart. It is such a beautiful feeling! I appreciate and love Claudiu infinitely! The retreat has inspired me in many ways, many unclear to my mind. This gives me a deeper understanding of the path and love for the advaita vedanta vision. It has also given me more insight, so important is how I identify with the mind or keep the attention on the body. In sitting this retreat I’ve gained more clarity and centeredness. Sitting in stillness, I’ve discovered new depths of being. I am full of aspiration, inspired to continue practicing and going deeper. It makes me cry when I look at everyone’s faces and I know I know them….like from somewhere, evern though many are complete strangers. An intimate feeling of recognition arouses which makes me feel joyful, that there are so many brothers and sisters. This retreat has deepened my belief and brought/brings changes from spiritual life to worldly life. Every day was like Christmas, a new lecture every day, great topics, very well structured, clear and understandable. I learned to overcome limits and boundaries I’ve set in my head. For example I can now meditate easily for 3 hours, before I thought 2 hours was the maximum, but now I realized that it’s not so long. And as usual there is more aspiration towards God, more inspiration, more SPANDA…! Amazing group energy, everything seemed to flow and everyone was so focused and inspired. 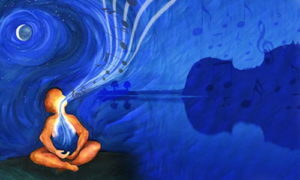 The extended portion allowed a much deeper development of meditation – simply the most profound experience of my life! This morning – love, gratitude, peace, stillness – I want the retreat not to end! Can’t we go on?!? Wow! The extra 7 days took us even deeper, stabilized things more and more, allowed the longer meditations, more stillness – so unbelievable! I appreciated Claudiu most – his teaching, his inspiration, his being – teaching with Dengue Fever! Just the presence of him gave me the inspiration to go deeper. When Claudiu said: “many moments of this retreat will pass, make this moment unforgettable”…and then – stillness…and love! What touches and inspires me most is Claudiu’s love and devotion for his students and God! Om Namah Shivaya! Hridaya Retreat I understand what it means, that “meditation gets effortless”. Everything is so easy!!! Why is it so hard to repeat these experiences? It is grounded in research and taught by a dedicated practitioner. Love it! I feel that this retreat has given me clear and practical meditation techniques that will be easy to remember and apply in my own practice and can take me deeper than the techniques I learned before. Most vivid recall: The feeling of deep gratitude after a meditation that gave me new eyes to look at the world and the wonderful stillness that it left me with. Walking on a rocky path barefoot afterwards, I felt so light, I felt my feet were gently caressed by velvety softness, almost other worldly. The meditation techniques helped me Very Much! By creating such a beautiful awareness of the ever present stillness. The techniques were presented in a perfect way in order to facilitate a stillness of mind and body. They allowed/helped me to go deeper and deeper and whenever there was a difficulty I had the necessary technique to overcome it. I have never experienced meditation like this before. Before, it was like grasping in the dark for a glimpse, now I feel I can walk the candle lit path to the light. The most vivid, strongest, beautiful, deeply healing and profound…was todays guided meditation. It touched me in a way beyond words. I experienced something I have never experienced before. My heart exploded, top of my head buzzed open and I felt the truth of all these teachings. I integrated much of the last 6 months in India into my being and went further than I though I could. THANK YOU FOR TAKING ME HOME!! The lecture that inspired me that most was regarding the complete surrender to that Supreme Reality of the Divine Self, Atman. I’ve always thought that it is me who has to control everything… but this relief that I felt in my heart after the meditation let me realize that God will do it better, that I don’t need to do anything about it. It was very touching. Each and every time I sit in this retreat I am so awestruck by how many techniques are provided and how powerful each and everyone of them is in awakening the stillness! This diversity provides many options to beginner and experienced meditators, which I think is very beneficial. In this retreat I found amazing, powerful effects by projecting awareness to the back of the head and behind (outside of) body. This really amplified witness consciousness and stillness alongside the pauses in breath. I most vividly recall day 6 morning when “I” had one of the strongest ‘bliss’ or unity moments “I” have ever experienced. That was a turning point at which time the witness really started to pervade throughout the day and night. I most vividly recall that moment when I broke out in tears of relief that I found what I was looking for even though I didn’t know before what that was — God. I fell on my knees and surrendered. Sobbing like a little child. I was transformed in every possible way!, because my life stays on different pillars now. I am not the same person anymore — I might need a new name! I surrender my little ego bubble to the Divine. What a change! I came to experiment with silence and I got out of the retreat as someone who experienced the freedom of “tasting” God. I tend to believe that I made my 6 months journey through Nepal, India and Thailand just because of this Retreat. I recall most vividly the topic of the meditation of surrendering and the meditation immediately following after that lecture. And how the prayer of that evening before leaving the hall touched something so deep I could not come back to where I was for a while. I was transformed in ways that nothing else has done before. I came to peace with the devotion and longing I always felt so strong; something which was sending me mad and deeply unhappy. The Retreat has opened my eyes and my Spiritual Heart to truth and the divine, and most importantly, showing me very clearly where my obstacles, resistance and blockages lay within me and why. It is such a divine gift to be able to undergo this experience in such a wonderful place and under such a strong but gently amazing guidance that I have decided to completely change my plans and arrangements to hopefully be able to attend the next one again. I just don’t want to stop walking this path. In this retreat for the first time I fell in love with the Prayer of the Heart with which I never really resonated before. Now I can sit and sit and love it so much I didn’t want to come out of it! I now understand differently the meaning of being present in the moment and awareness and stillness. And I know now that I can take it with me and practice it at any moment with anything I do. I remember being in a meditation completely aware and in a state of peace; I could observe thoughts but I was not taken by them and I could feel the body but I knew I was not the body or the mind; all energies that were arising were sublimated. “The most vivid experience during the retreat was when my mind seemed to detach from my body. I was feeling like being in a very fast elevator and floating in the sky. It was a little bit wierd because it came when I was not expecting anything. I consider it was good like that. Surrender to the Divine Consciousness touches me the most. It is the most beautiful, the most profound, the most challenging and frightening, but the most essential of all teachings in meditation and in life. I had so many beautiful and uplifting moments in my meditation where I felt my heart opening, realising so much tension and sadness and totally letting Love and Joy and Bliss back in again. In which ways has this retreat inspired and transformed me? It is hard to say. The inspiration? It’s ineffable. The transformation? Only time will tell what it’s reversible. Truly it feels like an opening for me. It’s been a time for me to revisit questions that, at age 18, I felt were unanswerable in all but the most pessimistic ways. I’ve been carrying that pessimism around with me as the general foundation of my consciousness for a long time. Only in the last few years I have realized that something else might be possible, partially I think I feel encouraged by the mainstream awareness of our planetary crisis. And I realized how tired I feel of my pessimism. So this is my time to revisit the questions of life and existence. I have deeply appreciated this experience. It’s been a pleasure, a profound pleasure, to share your presence, Claudiu. I feel that these days are part of a new beginning for me and as I write that I’m remembering that I had a beautiful moment, when I felt, I think actually for the first time, that I wanted and felt deeply interested, in seeing and experiencing this life till the end. No matter what happened. I felt appreciative of Existence, in its totality. “If I have to synthesize the result of the retreat in a few words I would use: love, surrender, aspiration, union! This intimate perception of the Self feels like the most intense of all freedoms – it is the vastness of the spirit. There is a feeling of lightness…. This was the safest place in which I have ever been. It was the most natural state in which a human being should be. I stayed in that secret place for long. When I went out of that state some conclusions arrived to me, like some forms of superior understanding: LOVE, LOVE, LOVE, so much LOVE. Undifferentiated, for everybody. The strong desire to offer and to share this love….